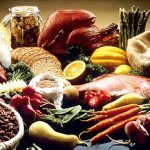 May is National Mediterranean Diet Month! The Mediterranean Diet reflects a traditional eating pattern found in the countries of the Mediterranean region of Europe. This style of eating emphasizes fruits and vegetables, nuts, olive oil and whole grains with small amounts of meat and low-fat dairy products. The traditional Mediterranean Diet came to the U.S. back in 1993, when the Harvard School of Public Health convened the International Conference on the Diets of the Mediterranean in Cambridge, Massachusetts. It was there that the Mediterranean Diet Pyramid was unveiled, representing visually the traditional foodways of the Mediterranean region. There’s no denying the benefit of a following a Mediterranean-style diet. Researchers find that such a diet is linked to less cognitive decline with aging, less heart disease, improvements in metabolic syndrome, reductions in some types of cancer, and still more health benefits. Since its introduction in 1993, consumers, educators, and health professionals have used the Mediterranean Diet Pyramid to understand and implement healthier eating habits. 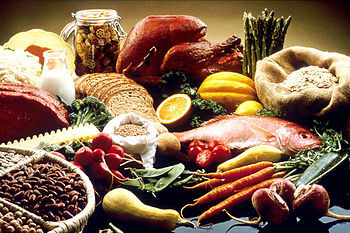 Here are some great foods to eat for Mediterranean Diet Month! Thanks to its popularity, shoppers can now find affordable Mediterranean foods including hummus, olive oil, legumes and whole grains at local supermarkets across the country. A standout of a Mediterranean-style diet is its fresh taste. Meals are seasoned and prepared in ways that make flavors pop. Food is typically seasoned with herbs, spices, citrus, flavorful vinegars and high-quality olive oil. If you’d like recipe ideas to try in celebration of Mediterranean Diet Month or if you’d like to schedule a complimentary nutritional consult to start developing healthier eating habits, please contact Right Nutrition Works today!